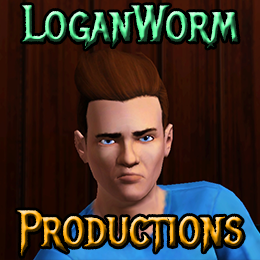 LoganWorm Productions has focused on many things: The Sims games, Machinima, and Music Videos. In the future there will be more added to these accomplishments. LoganWorm Productions is an entity that has had a long history of existence. The name was chosen to blanket all of LoganWorm's work. It is derived from LoganWorm (which is me: Logan Smith). The name LoganWorm comes from a previous username of worm178. This username was randomly generated as a kid for me on nick.com, and so I stuck with it. Essentially the "worm" has no immediate meaning, but it can be interpreted under many contexts (for example: in Halloween, worms are creepy-crawly). Have fun figuring out what your context is! As I mentioned before, my name is Logan Smith. I am interested in video games, computers, and technology. I've been involved with all of those things since I was a small child. I am also involved in several other activities such as debate, speech, theatre, show choir, track, and other volunteer activities. I am a very competitive person, but I also love just getting the chance to try new things out and make progress on improving! If you have any more questions, feel free to contact me here. I don't really recommend this computer for gaming, but it is really great for web browsing, watching movies, and playing casual games. It takes a little work to get working for gaming purposes, but it is possible to work with. I am hoping to get a desktop gaming computer sometime in the future.